The beach is located in the village ujungnegoro kandeman kab.Batang. This beach is a tourist destination Trunk option that offers natural beauty, religion, and culture.Ujungnegoro a Marine Protected Area. One of the leading tourist Batang district located in Kec.Tulis, Batang. 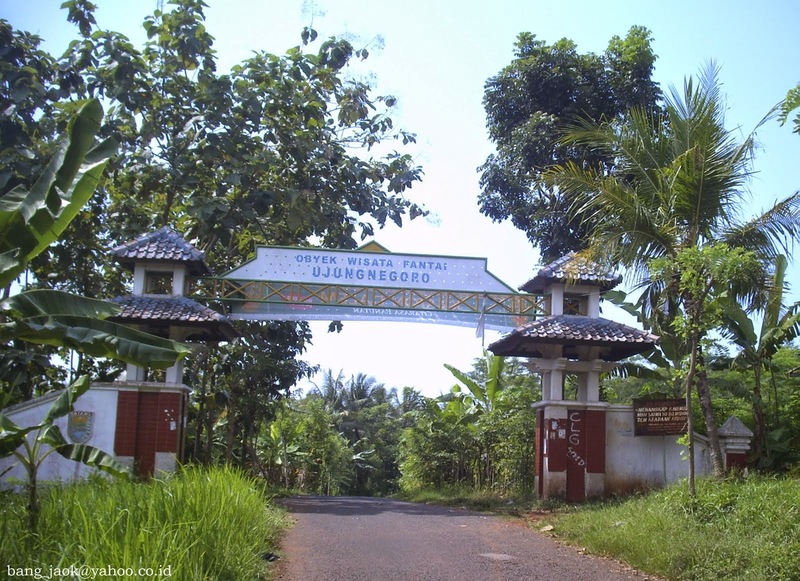 The structuring the area and always maintain the cleanliness of beaches, especially with adding attract visitors, especially children, cheapness ticket to enter and safe vehicle parking area, it is not impossible beach Ujung Negoro become a favorite destination for tourists. One special from Ujung Negoro is the combination of panoramic beauty of the coast and steep hills. In Indonesia, there is rarely a coastal tourist places at the same time there are hills that are still green and leafy. Beautiful natural charm in this beach,coastal cliffs like this are rarely found along the northern coast cliffs jawa.pada there is also a cave called Gua Aswotomo and a funeral Sheikh small Moroccan heritage, the beach is also attractive for use as a fishing or tour boat, very suitable as a family recreation.